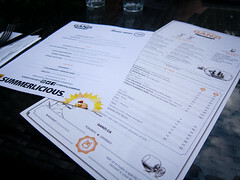 My second Summerlicious stop this year was at the new signature restaurant of the Shangri-la hotel, Bosk. 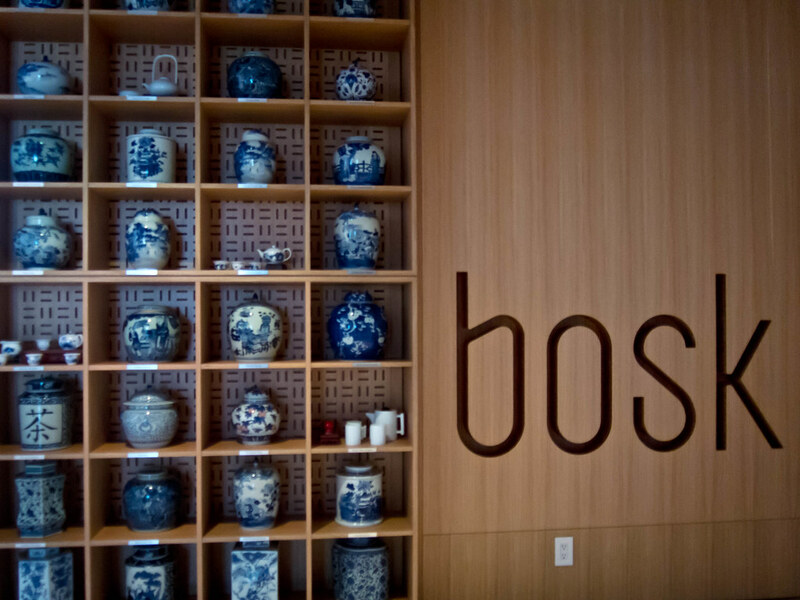 What caught my eye about Bosk’s menu was that between the $25 lunch and $45 dinner offerings, I was more interested in their lunch. 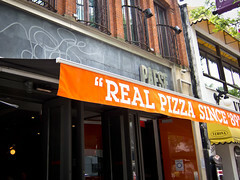 This was an easy decision to make and one of my best Summerlicious experiences to date. 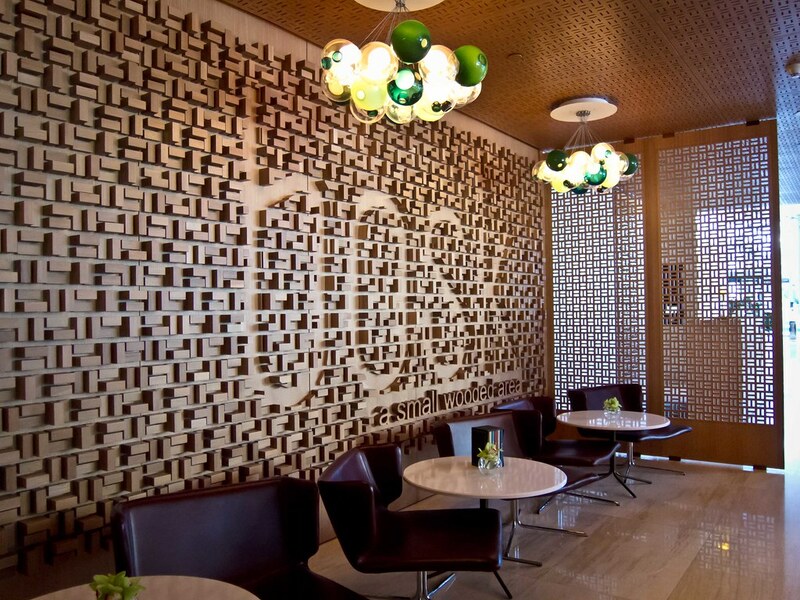 Atmosphere: I loved the interior decor of Bosk. 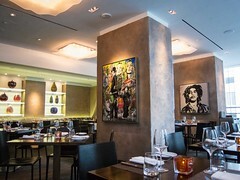 The use of light woods like bamboo and a soft colour palette with touches of green was a refreshing and welcome change from the usual dark woods and industrial materials found in many restaurants today. The dining room was open, airy, full of natural light and accentuated with delicate woodwork details in the ceiling. I loved the spherical glass pendant lights over the bar and have been eyeing a similar lighting arrangement for my own dining area. 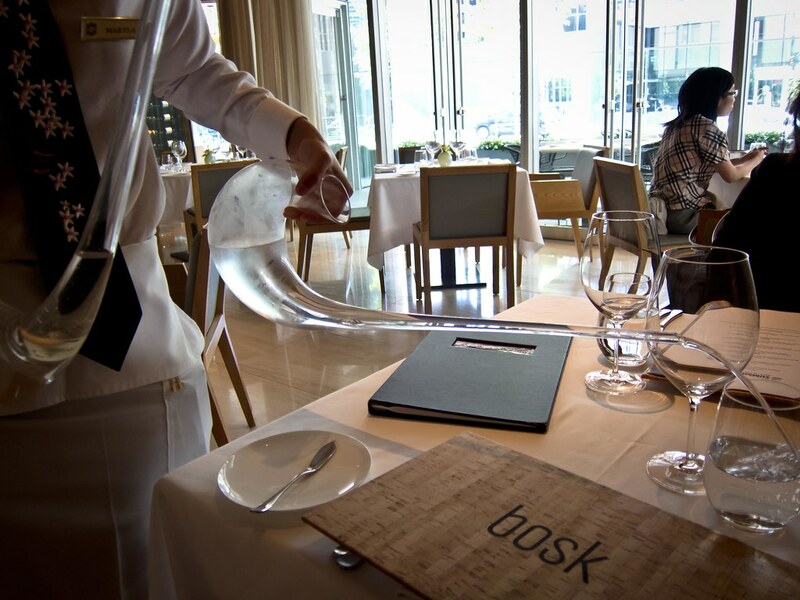 Bosk is a space that I would recommend for a nice lunch, special event or romantic dinner. Service: The service was refined and friendly. Our water was refilled using elaborate tusk like glass vases and during the entire meal the service was unobtrusive yet constant. We never had to flag anyone down, servers appeared at the table right when we needed something. Food arrived quickly and each plate was beautifully presented with descriptions offered for each component. 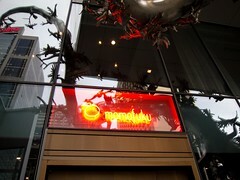 I felt well taken care of the entire meal and the service really did enhance my experience. 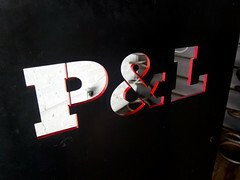 Food: My friend and I shared all of our courses so I was able to sample even more of their menu. 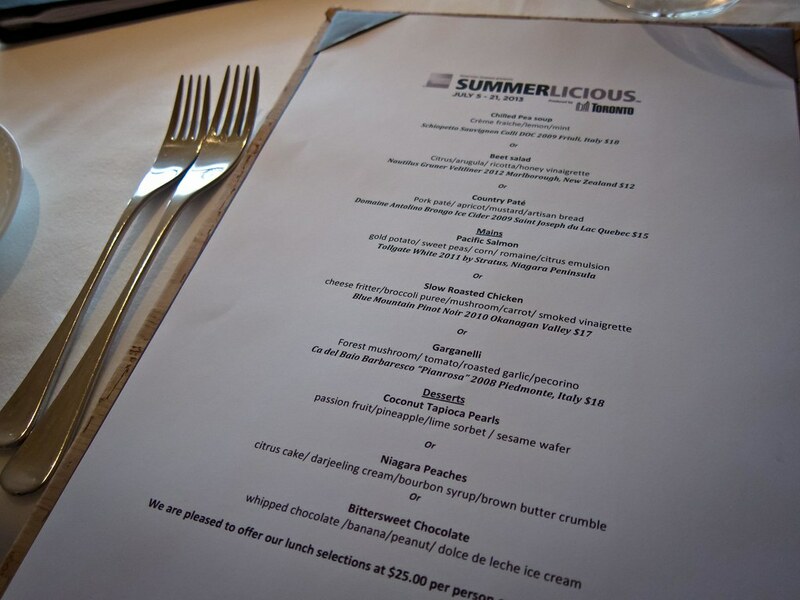 We started with the chilled pea soup and country pate, followed by the pacific salmon and slow roasted chicken for entrees and the Niagara peaches and bittersweet chocolate for dessert. 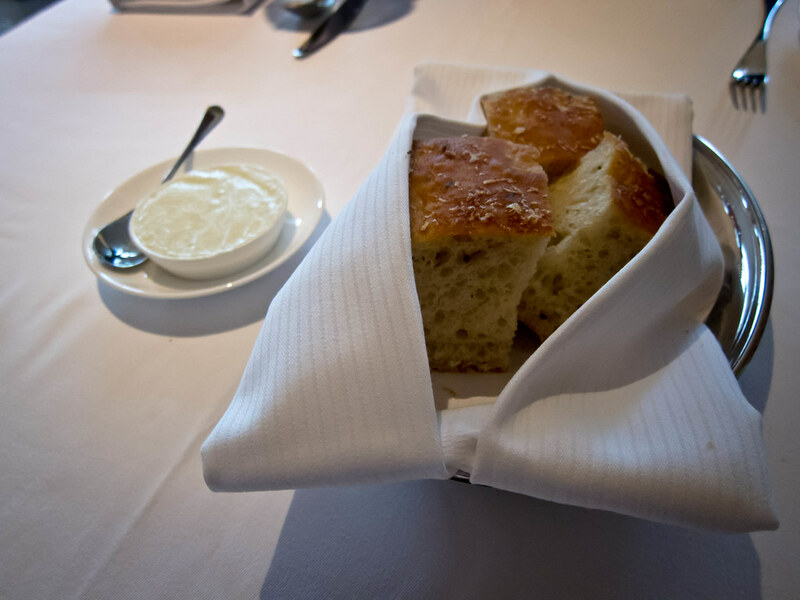 While waiting for our food to arrive, we nibbled on the basket of herbed bread paired with the light whipped butter. 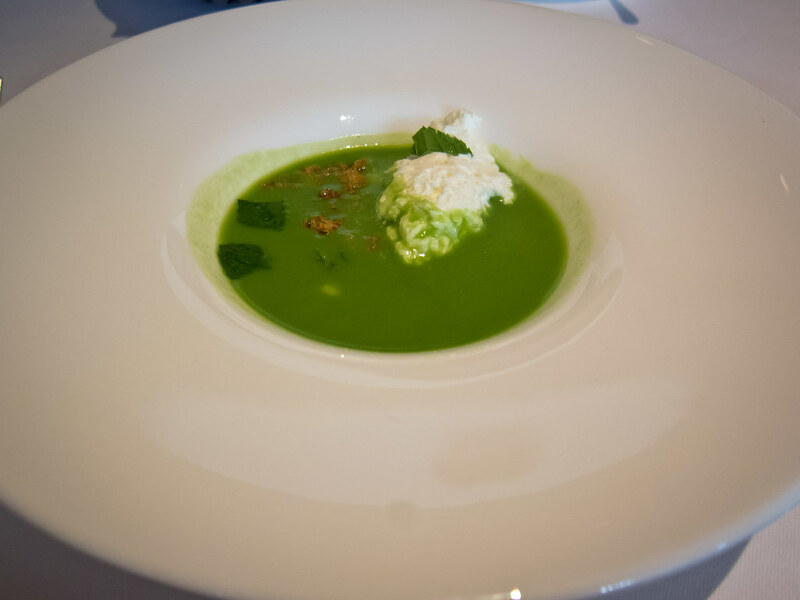 The pea soup was sweet and light, a great choice on a hot day. 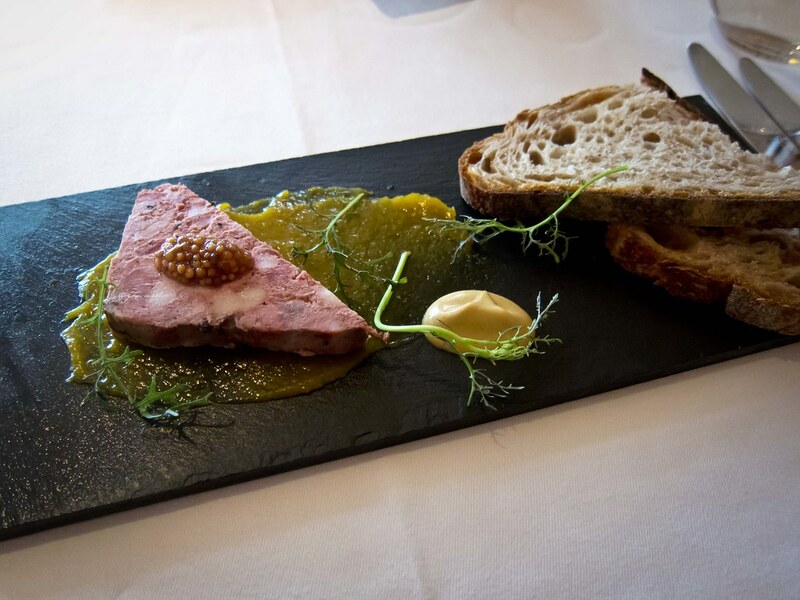 I expected the country pate to be less chunky, but it was a nice surprise and I liked the smattering of apricot jam. The assembled dish had a hint of sweet and tart flavours and a mix of crunchy and chewy textures. 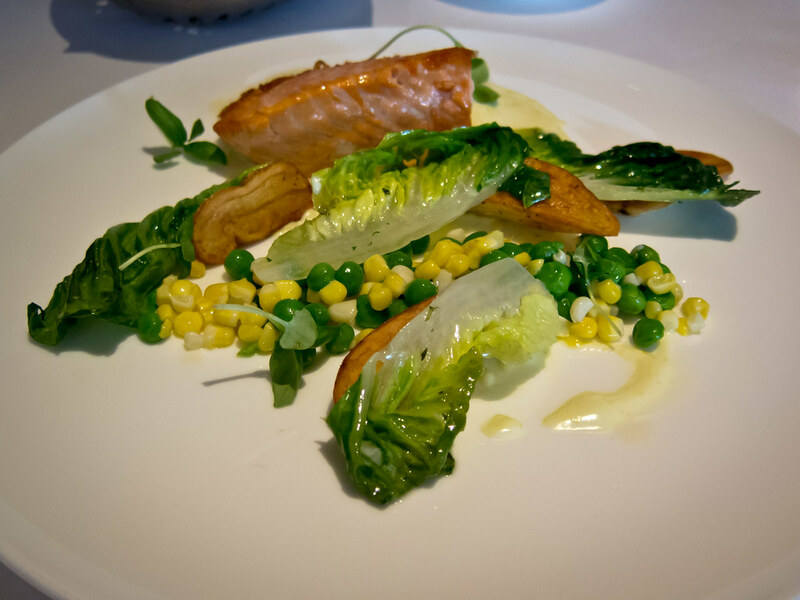 The salmon was cooked to a flaky pink and complemented by the sweet corn and citrus emulsion. 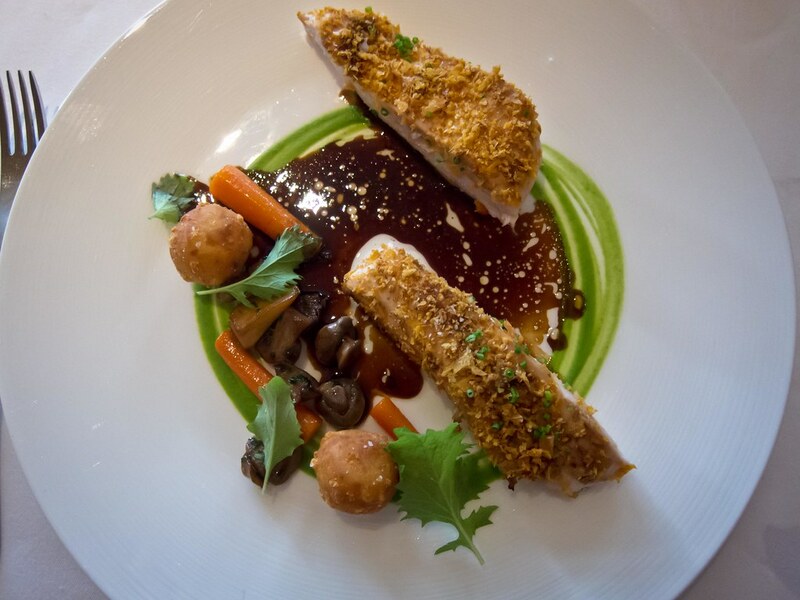 My chicken entree was moist, lightly baked with little oil and plated beautifully. The cheese fritters were gooey and melted deliciousness inside. I loved the smoked vinaigrette with the vegetables. Again, this was a very balanced dish with all flavours thoughtfully presented. The entree portions were on the smaller side but filling enough for me. I do know that the BF would have been hungry though. Dessert was the highlight. The whipped chocolate was airy, not overly sweet and I loved the dulche de leche ice cream.The Niagara peaches was honestly amazing. 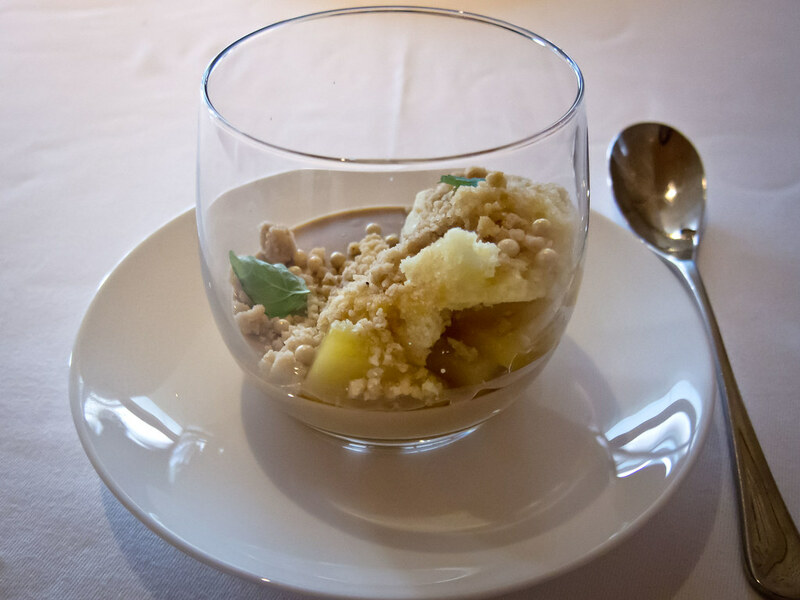 At first we weren’t sure how the fruit was the highlight but after the first spoonful they shined through the dish. The brown butter crumble and bourbon syrup was to die for and topped with a moist citrus cake. 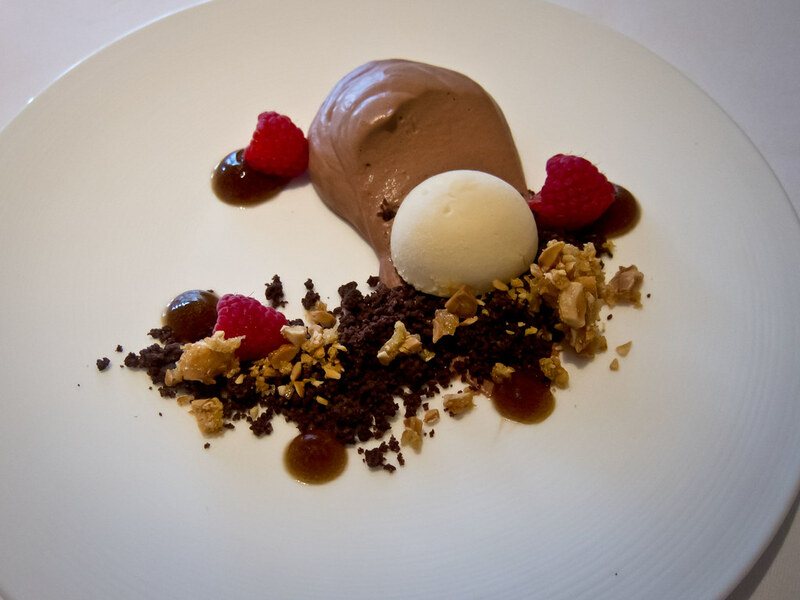 This was one of the best desserts I’ve ever had and a high note to end a truly great meal.